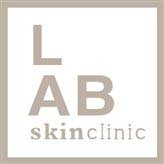 Fillers at LAB Skin Clinic, Neutral Bay – Call 02 9909 3602 are bespoke treatments that are customised to enhance your individual facial features. Dermal fillers help to replace the lost volume that occurs with the ageing process. 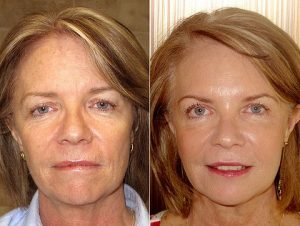 As you age there are a number of processes that contribute to changes in your face. Firstly you lose the fat pads in your face, which help keep the skin plump and young. The facial bones change causing loss of cheekbones and widening of the orbit. 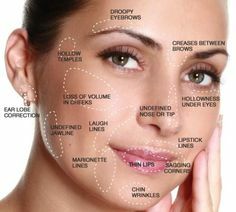 Collagen is lost in the skin causing laxity. Dermal fillers help to replace this lost volume and thereby give the face a more youthful appearance. Fillers last between 6-24 months depending on the dermal filler used and the amount injected but can vary from person to person. Cityskin uses the more expensive filler containing lidocaine, a local anaesthetic which makes the procedure more comfortable. PLEASE NOTE: The results on the right have been achieved with an integrated program of skin rejuvenation treatments, prescription skincare, anti-wrinkle injections and fillers. Individual results will vary from patient to patient. Call 02 9909 3602 for help or book your consultation appointment online by clicking on the link below.